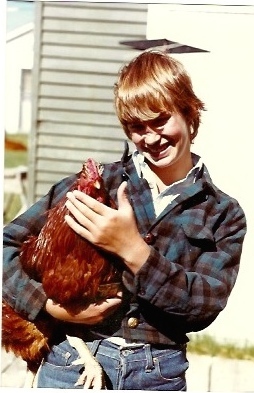 Went looking for old pictures of my mother this evening and kept turning up snapshots of family members with chickens — in all but one case, the infamous Rooster. Finally, I found one of Mom, but also featuring Rooster. 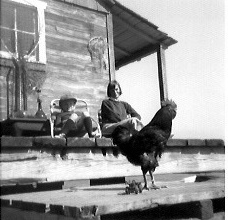 Mom’s on a deck with a daughter, Rooster in the foreground. Somewhere in the background, I’m sure, is my mother’s Rooster Racket — a badminton swatter she kept close at hand to ward off aforesaid irritable male chicken, who would hurl himself at you, spurs first, if you displayed the least sign of intimidation. This home was a loving and cozy place, but a bit chaotic. Interestingly, in the black and white photo below, a wheeled toy sits on the step next to Rooster, apparently to tempt fate and send someone flying even if given a pass by the obnoxious bird. I note that my mother was the daughter of a missionary and she was a pacifist if I ever knew one. And the Rooster Racket was only defensive, gentle as weapons go. This Rooster, for some reason, lived with the family in both Hadlock, Washington, and Lennep, Montana, it’s survival and care altogether a mystery to me, an occasional and wary visitor. 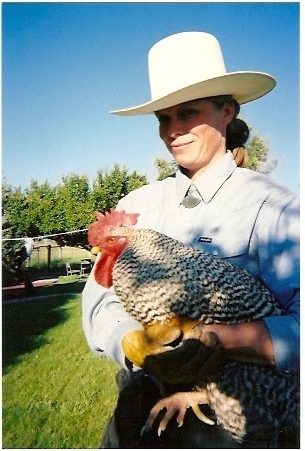 At left, many years later, oldest sister, wearing her trademark unblocked hat, is holding one of her own and, to my mind, classier fowl. No. 2 and 3 sisters, as young girls, both hold Rooster. Fondness for the bird, or fowl in general, can be seen in each case. 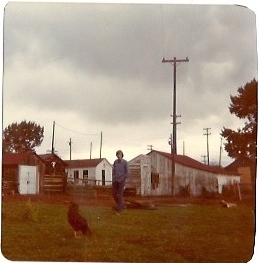 Not so, it seems, with my brother, who can be seen here giving Rooster a wide berth years ago in the middle of Montana, as if the state wasn’t big enough for the two of them. That bird attacked me more than once, but I guess I respect my sisters’ affection for him, even if I don’t understand. Meanwhile, I’ve really got to get serious about my photo collection. I have no traditional portraits of my late mother. I continued my search for pictures of her on Mother’s Day eve and finally came across one that didn’t appear to include the ubiquitous Rooster. 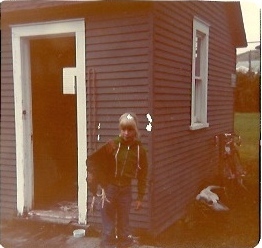 It was taken outside the cottage at Hadlock, on the bay south of Port Townsend, where Carl was building and hauling out boats. 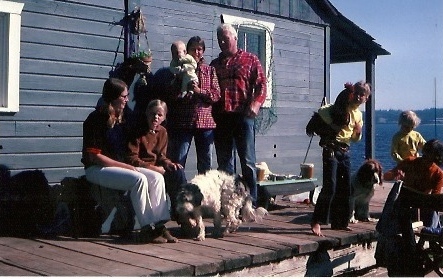 All three sisters are in the photo, two stepsisters and a baby, two husbands, two dogs, including the noble Ivan, one cat and, I think, because of the not so clear photograph, my brother with cigarette in his mouth. I initially thought it was my mother because the cigarette looks like one of her haphazardly rolled Buglers, but now I think it’s a young Pat with longish hair. 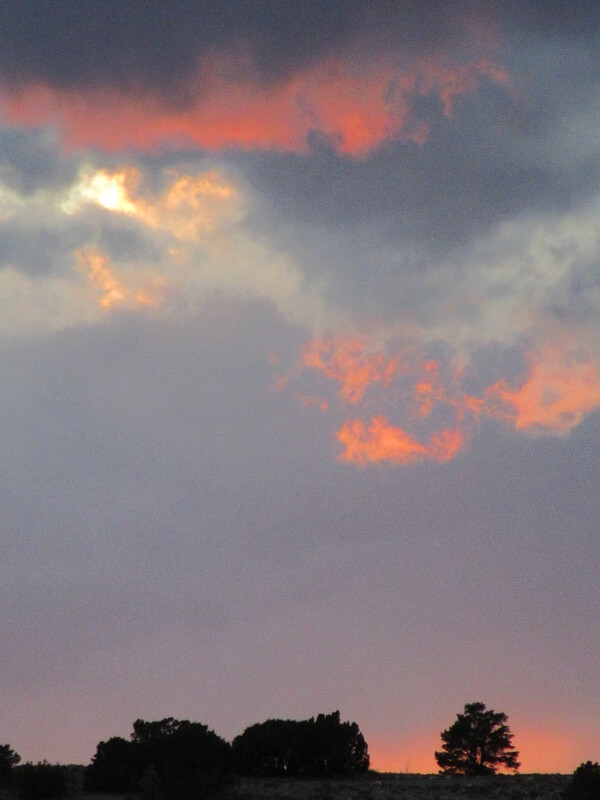 I see no Rooster. But wait: what’s that sister Jane is leaning on over on the corner of the beachfront deck? I believe it is a black and white calf. Handful of Harpers with father Carl; Hope with camera hog Rooster. 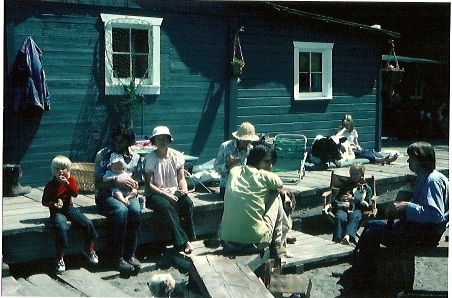 Some of the gang, a calf curled up on the deck with Jane and, wait, Rooster, too, in Pat’s (right) lap? And this just in: An eagle-eyed photo viewer says there is a chicken in my brother’s lap. I guess it wouldn’t be a party without Rooster.